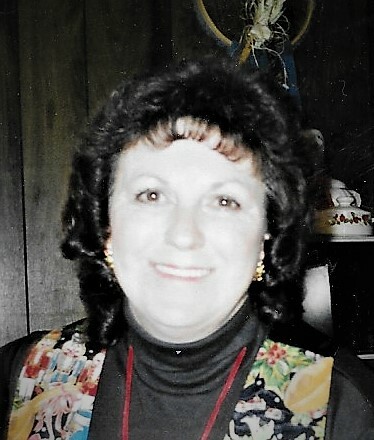 Joyce Kay Fishel, age 74 of Beardstown, died Thursday, March 28, 2019 at Memorial Medical Center in Springfield, IL, surrounded by her loved ones. Coats. She married William Lewis “Bill” Fishel on October 15th, 1966 and he preceded her in death on November 4th, 1998. She is survived by one son David (wife Reeda) Coats of Beardstown; two grandchildren Adam Coats (significant other Emily Leonhard) of Beardstown and Andria (husband Carl) Crabtree of Mt. Sterling; four great grandchildren Evalee Joyce, Ryann, Blake, and Loren; three brothers Rob Coats of Texas, Russell Coats and Jim (wife Vickie) Coats both of Beardstown; two sisters-in-law Lee Ann Coats and Bea Coats both of Beardstown; and numerous nieces, nephews, and cousins. She was preceded in death by her parents, her husband, her sister Dorothy Emerick, and six brothers William, Milton (Gabby), Herbert, Jack, Landon, and Harry Coats. Joyce attended Arenzville Schools. Bill and Joyce owned and operated Fishel Trucking which allowed her to stay home and raise their son David who has continued the family practice as a semi owner operator. Later in life she then began working in the cafeteria at Beardstown School and retired in 2013 after 22 years. She never wanted a child to go hungry, so Joyce kept quarters in her pockets to pay for a student’s second servings, and even used her own recipes to make the lunch more flavorful. Joyce enjoyed crossword puzzles, walking, country roadin', and cooking; especially baking Suzie Q’s. She had a strong faith, was selfless, thoughtful, and a caregiver to all. She would help anyone in need and kept a tight circle amongst her family who will greatly miss her presence. Cremation rites have been accorded. A Celebration of Life will be held from 2-4 PM Sunday, March 31, 2019 at Colwell Memorial Home in Beardstown. There will be no burial. Memorials have been suggested to the family of Joyce Fishel. Condolences may be left online at www.colwellmemorialhome.com or on Facebook at Colwell Memorial Home.